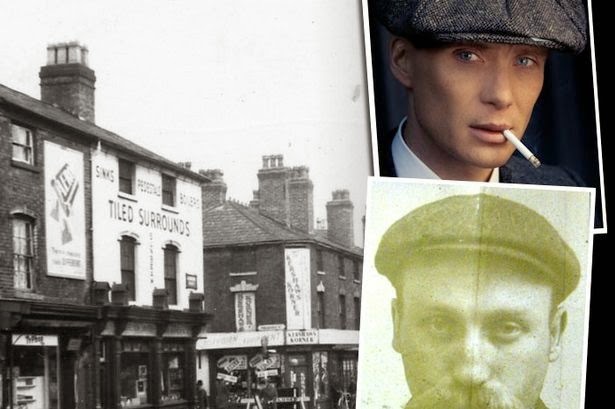 A local brewery near to me, Sadler's of Stourbridge in the Black Country, are cashing in on the success of the TV programme Peaky Blinders with a range of dedicated beers and gifts. Sadler's Ales are situated in the heart of England’s famous and industrial ‘Black Country’. Founded in 1900 by Nathaniel Sadler, the brewery supplied its twelve tied public houses, the most famous being the Windsor Castle Inn, Oldbury, the original Brewery tap house. The popularity of Sadler’s 'incomparable' ales led to the brewery supplying numerous public houses throughout the Midlands. The Brewery was very much a family run business. It has earned a strong following with many loyal Sadler’s drinkers throughout the Midlands and the UK. The Brewery was inherited by Nathaniel's Son, Thomas who ran the Brewery for a number of years, where he also raised his son Jack who was brought up in the Brew house. Jack later passed on both his passion and knowledge of brewing to his son and grandson John and Chris Sadler, now fourth and fifth generation Brewers. The Brewery was historically re-opened during the winter of 2004, 77 years after Thomas Sadler brewed his last pint in 1927. Now situated in Lye, near Stourbridge, the Brewery has once again become a thriving family run Craft Brewery, supplying public houses & shops with Sadler’s award winning ales throughout the UK. The Brewery now produces a selection of Signature craft beers and a series of distinctive specials in both cask, keg, bottle & can. Since the Brewery’s historical re-opening in 2004, Sadler’s have been presented with numerous awards for the quality of their beers and they continue to produce beers that people love to drink. 2015 marked a big year for Sadler's Ales, as the brand new Brewery was opened on a new larger site close to the original Brewery. This has allowed Sadler's to keep up with the growing demand for it's beers and open a new visitor centre and bar. 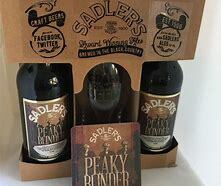 Sadler's have now launched a range of Peaky Blinder Beers, Spirits and Products. The big favourite is the Peaky Blinder Black IPA Beer, but there is also a Pale Ale and a Lager. In the spirits, there is a Whisky, a Gin and a Rum. Beers come in 12 bottle cases and there are 'spirit packs' containing all three, on offer. 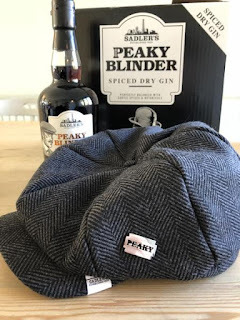 Added to these beers and spirits, the brewery have a range of gifts for Peaky Blinder fans that include Hats with Razor Pins, Bar Blades and Glasses. A 'Peaky Blinder Gift Pack' includes beers to try and a Peak Binder cap. If you are looking for a unique Christmas present for that avid Peaky fanatic, then look no further than the unique 'Peaky Blinder Super Fan Gift Pack' (above), that includes a spiced spirit of choice, a cap with razor pin and a blade pin badge. 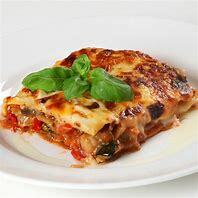 Friends will be envious! 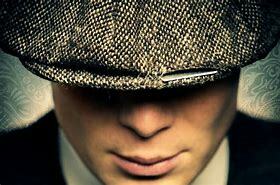 https://www.sadlersales.co.uk and click the Peaky range.